If you embark on a voyage from the UK to destinations such as the Mediterranean and the Canary Islands, then you must sail through the Bay of Biscay, a body of water that is always a strong talking point among cruisers both new and seasoned, but what is the Bay of Biscay? Well, let me tell you. The Bay of Biscay is a gulf of the northeast Atlantic Ocean located south of the Celtic Sea. It lies along the western coast of France from Brest south to the Spanish border and the northern coast of Spain west to Cape Ortegal. Parts of the continental shelf extend far into the bay, resulting in fairly shallow waters in many areas and thus the rough seas for which the region is known. The Bay of Biscay is home to some of the Atlantic Ocean’s fiercest weather and large storms can occur, especially during the winter months. I know some of you are now probably thinking the worst, but although the Bay of Biscay can conjure up some severe weather, it really isn’t all bad. In this blog, I am going to hopefully make you forget all the worry and negative stories, and by the end of it, simply have you looking forward to your next cruise. I’ve sailed through the Bay (or BOB as it is also known) many, many times (more than 20) and at various times of the year. I’ve experienced flat calm seas, Force 12 gales, hot sunshine, thunder, torrential rain and even snow, and I’ll do it all again as the years go on. The most common thing people ask me is what they can expect from the Bay and at specific times of the year. I will always reply with the same answer – Mother Nature is Mother Nature and you can NEVER tell what the Bay of Biscay will be like at any time of the year. I’ve sailed in December and had flat calm seas and I’ve sailed in July and had torrential rain – one simply cannot predict the weather. My biggest piece of advice to you – take some seasickness pills if it is a little rocky (should you think you’ll need them) and just enjoy your ship. The chances of you experiencing terrible weather are slim, your Captain is not going to sail you into potentially dangerous weather conditions, so sit back, relax and grab another drink from the bar – make mine a double! 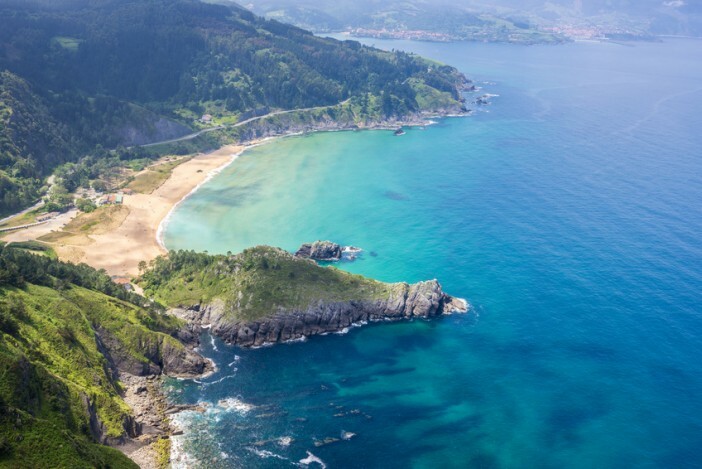 One thing you may not know is that the Bay of Biscay is actually home to some incredible marine life and you’ve a strong chance of catching a glimpse of whales and dolphins during your journey. The bay is one of only a few places in the world where the beaked whale, such as the Cuvier’s beaked whale, have been observed frequently – this is actually the best study area in the world for beaked whales – and many ferry services in the area allow ORCA and the Biscay Dolphin Research volunteers to come aboard and conduct their research from the vessels. The Bay of Biscay is also your route to some rather impressive ports of call, including Nantes, Bilbao, La Rochelle, Brest and Bordeaux. I visited Bilbao a few years ago and it is a wonderful port! The drive from the cruise ship dock into the city was beautiful and although everything in town was closed during my visit (it was a Sunday) it was still a lovely place to stroll around. So there you have it, there’s a lot more to the Bay of Biscay than just worrying about the weather. If you do come by a swell, chances are it will only be moderate – during the day you won’t feel it and at night it will gently rock you to sleep at the very most. Would you like to explore The Bay of Biscay? Check out our homepage for the best deals. Alternatively, you can give our friendly sales team a quick call on 0808 274 6777.